Glass top stoves offer a beautiful, modern aesthetic, but if you have never owned one before, you might not be familiar with the ins-and-outs of glass top care. It’s different than a coil-element type in how you clean it and use it, so we have compiled this list to help you with your glass top stove. The bottom of cast iron cookware is too rough to have on a smooth stove top. With any movement, you can end up scratching it. Really, any type of cookware with a rough bottom is going to present a risk to your glass stove, so reserve these for the oven only. You will want to be sure to always clean the bottoms of your skillets and pots. This is because grease build up can lead to rings and other marks on your cooktop. 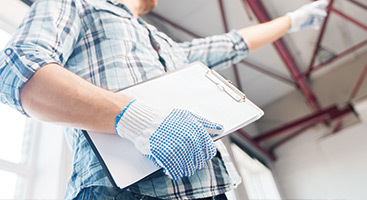 While you may potentially be able to remove them with the right cleaner, it can be very difficult, so make a point to avoid the problem in the first place by cleaning your cookware properly. Sliding your cookware across your glass top stove is a big no-no. This increases the risk of scratching. If you need to transfer a pan from one burner to another, lift it rather than slide it across the top. It’s not recommended that you use pans with round-edged bottoms on your glass top stove. This is because flat pans will work much better in terms of heat distribution. In addition, they will be more stable on this smooth surface. This is also true for round-edged griddles, which tend to be unsteady and heat unevenly. If you’re cooking any sort of sugary substance on your stove, make sure to take care and not spill on your stove top. This can discolor it, leaving a yellowish tint that you cannot remove. This is especially a concern on white or gray cook tops. If you do spill, wipe them up promptly to avoid discoloration. Glass stove tops are subject to cracking. Therefore, you want to make sure that you are not putting any heavy weight on it. Never stand on it, such as to reach up high, and never place anything heavy on it, even temporarily. It might look as though the glass remains in tact when cool, but once heated, it could break or shatter as the glass expands. One of the challenges for many people who are using a glass top stove for the first time is how to clean it. While a glass top can seem easy to clean, in reality, it’s very easy to do wrong. First off, you can make a lot of progress simply by making sure you wipe it down after every use. A soft towel with some vinegar on it can go a long way. However, it’s easy for just one little spill to become an eyesore if you aren’t cleaning it regularly. It’s best to use some elbow grease once you start to notice it becoming dirty to ensure that it stays sparkling. To start, you will need white vinegar, baking soda, a soft cloth, an old bath towel, and a razor blade. Wipe your stovetop down with vinegar to remove any grease and pick up any surface debris. Alternatively, you could use a cooktop cleaner, but vinegar is in most people’s cabinets already and significantly cheaper. Next, cover your stove top with baking soda. Baking soda is a wonderful natural cleaner because it breaks down grime and has a very mild abrasive quality that helps with scrubbing, without being so coarse that it scratches the glass. After that, soak an old bath towel in hot water in the sink. Wring it out so it’s damp but not soaking. Cover your stove top with the towel and let it sit for 15 minutes. 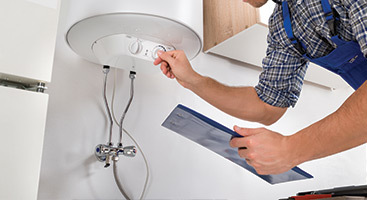 This process helps to loosen up the grime that the baking soda has accumulated. Then, get to scrubbing. Use the towel and baking soda to scrub the stove top clean. Make sure to wring out and wash the towel frequently, and scrub until there is no baking soda left. Once you have scrubbed as much as you think you can, it’s time to address any stubborn, burnt on stains. While the stove top is still damp, use a razor blade to (very carefully) scrape off stubborn, burned on spills. Make sure to do this with special care to make sure the glass isn’t scratched in the process. It’s best to use a razor blade with a handle for safety. Finally, do one last polish. Apply some vinegar to your cloth to do one more sweep, then buff it with a dry cloth for shine. 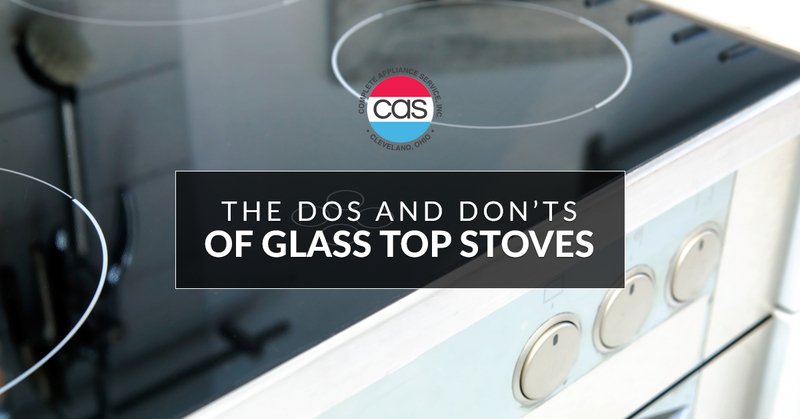 We hope these tips help you keep your glass top stove in tip-top shape. 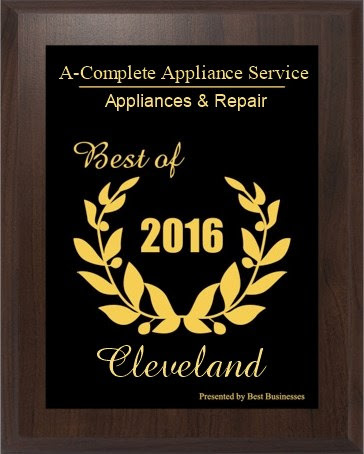 If you ever need appliance repair in Cleveland, we’re here for you! 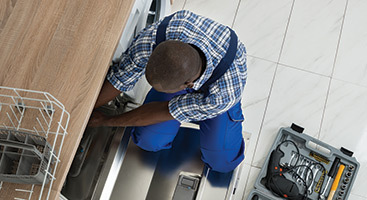 Contact Complete Appliance Service today.